Bio: After graduating from Wesleyan University with B.A. in painting in 2009, Wilder Duncan moved to New York City to pursue his passion for art and natural history. As a classically trained painter, self-taught rogue taxidermist, and professional specimen preparator, Wilder worked for several years at The Evolution Store creating, repairing, and restoring objects of natural historical interest such as taxidermy, fossils, seashells, minerals, insects, tribal sculptures, and articulated skeletons both animal and human. He also put these skills to use as a volunteer preparator in the Exhibitions department of the American Museum of Natural History. Wilder taught his bat skeleton articulation workshop for three years at the Morbid Anatomy Museum, and still travels to teach classes in San Francisco, and Toronto. 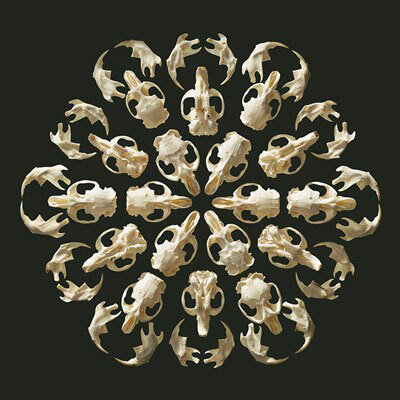 While arranging the bones of various skeletons, Wilder realized that the compositions were uniquely beautiful and powerful. Collaborating with photographer Ralph Smith, Wilder arranged and created these photographs to celebrate the beauty of bones. Wilder continues to perform detailed work for private collectors, giving a new life to old mounts, and new smiles to toothless skulls.